I’ve written before in my post ‘The Universe Emails me every day’ about how much I enjoy receiving ‘Notes from the Universe’ on a daily basis from the inspirational American speaker and writer Mike Dooley, so I was delighted to see on Mike’s website that he would be giving a presentation in London at a Hay House event in September alongside many others from the Hay House stable. If you haven’t heard of Hay House (where have you been?) it’s a publishing company set up by Louise Hay in 1984 to self publish her now famous works ‘Heal your Body’ and ‘You can Heal your life’. It has grown into a multi national publishing house that now has over 900 titles covering all aspects of the mind, body and spirit genre. Anyone who is anyone in this field has been published by Hay House. We are talking Wayne Dyer, Doreen Virtue, Robert Holden, Bruce Lipton, Deepak Chopra, Neale Donal Walsch – the list goes on and on. You might want to look at a previous post of mine called All self help books distilled down to 50 points to save space on your bookshelves to get the gist of what they all say! I thought it might be fun to hear Mike Dooley speak, as his daily emails are very entertaining and uplifting, so I went to the Hay House website and booked myself on to the Saturday session. Along side Mike Dooley there were 5 other speakers most of whom I had heard of and the programme looked fascinating. It was held in a lovely venue in central London called The Light at the Friends House, the central offices of the Quakers in Britain. The Light is a pyramid shaped room and had a wonderfully settled atmosphere. 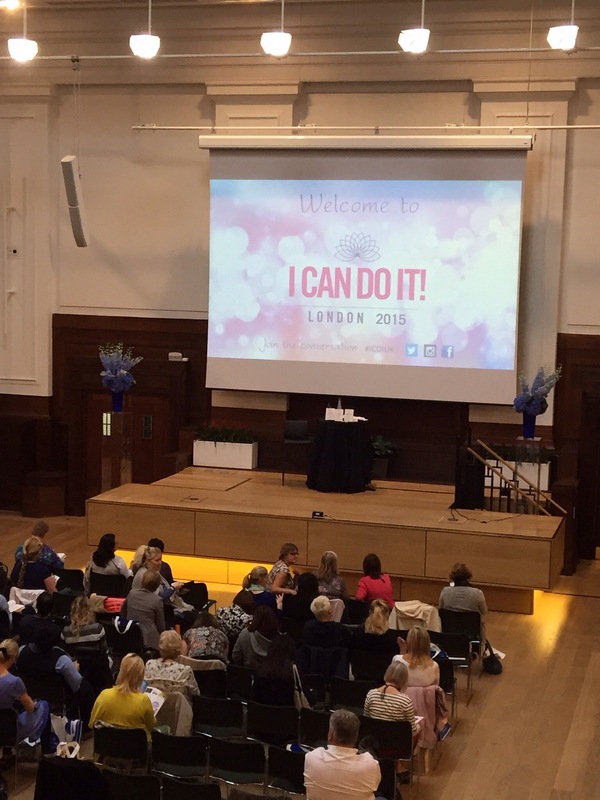 The session was opened by Robert Holden , the author of ‘Hapiness Now’ and ‘Shift Happens’ amongst many others, and his new collaboration with Louise Hay ‘Life Loves You.’ Robert has a wonderful style of delivery. He is warm, charming, humorous and very easy to listen too. He gave a very heartfelt tribute to Wayne Dyer who had passed away earlier in the week. Robert’s main theme was that life isn’t judging you and that your relationship with yourself is mirrored in your relationship to everything else in your life. He talked about giving up on your plan in order to allow the big plan to happen. He spoke of how easy it is to believe that life loves you on the good days when everything goes your way but more difficult when even small obstacles are placed before you. He talked about our relationship with the mirror and how that changes over time. How as we grow up we begin to judge ourselves to be lacking in so many ways and how this is mirrored by our reluctance to see ourselves reflected in the mirror. He spoke honestly and engagingly about his own struggle with a recent bout of sciatica that Louise Hay diagnosed as being due to hypocrisy. He finally accepted that he needed to work on his own belief that ‘Life loves You’ before he could embark on his new book. The next contributor was Dr Eric Pearl in his skin tight trousers and flouncy cuffs. Eric Pearl had been a very successful chiropractor in Los Angeles for 12 years when he suddenly found that strange things began to happen to him and his clients – including amazing healings. Eric is a great performer. His delivery is theatrical and fun. He prowls backwards and forwards across the stage and his talk is littered with pregnant pauses and knowing looks. He was disappointed to see that a large number of the audience had yet to read his book ‘The Reconnection, Heal others, Heal yourself’. (I noticed later, at the bookstore, that they had almost sold out of his books, so I think most people remedied that after his presentation.) He shared some of his own experiences which illustrated his point that healing doesn’t always mean the person lives. He also spoke very entertainingly about healing techniques that have their own special rituals, symbols, crystals, pendulums, protection methods etc etc. He said it was time to free ourselves from techniques and to acknowledge that love or healing can’t be given from the basis of fear. By not limiting ourselves to techniques we open up access to the entirety of the energy. He then asked for a volunteer from the audience who couldn’t lift their arms above their head due to some health problem. A lady demonstrated her inability to do this. Then, rather surprisingly, he asked who in the audience had been dragged by a friend to the event and thought it was a load of ‘bulls**t’. A lady put her hand up and she was invited to join him and the other volunteer on the stage. He then proceeded to get the naysayer to heal the volunteer. It worked! Now it was time for Mike Dooley to take to the stage. He bounded up exuding his excitement at being in this lovely building. He told us that Gandhi, the Dalai Lama and Desmond Tutu had all spoken from the stage he was now standing on. There was quite a lot of ‘woohooing’, from Mike that is! Mike was there to promote his new book ‘The Top ten things dead people want to tell you’. He explained that this information hadn’t come to him via some psychic communication but was really a culmination of his own knowledge and spiritual common sense. He read some very damning and amusing reviews from Amazon of his new book although he told us that the ratio of 5 star reviews to 1 star reviews was a factor of five. As well as reminding us that there is no hell and no day of judgement by anyone other than ourselves he also emphasised that there are no accidents. Mike has a very dynamic delivery, he dances across the stage on the balls of his feet, rocking backwards and forwards as he reads from his book. His main point was that we have to define our goal but not the process by which it is to be achieved and then, as he says, ‘show up’. He gave the analogy of a satnav in your car. First you set the destination, you don’t know what the route will be but you know it will get you there, but you must start driving. Once you start moving the guidance is forthcoming. Also it doesn’t necessarily make sense until you arrive and then you realise that every twist and turn was necessary to get you to that point. Then it was time for lunch. What happened after lunch? That’s for another day.